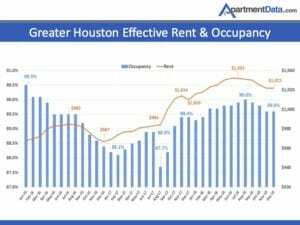 Steady, consistent job growth combined with a moderation in the number of new apartment units coming online adds up to a good market outlook for the industry in 2019, according to ApartmentData.com president Bruce McClenny. 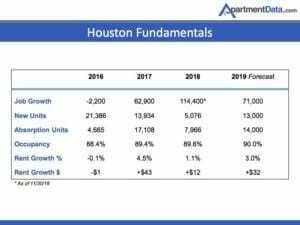 He predicts three percent rental rate growth this year and that Houston will see that trend continue for another two years. 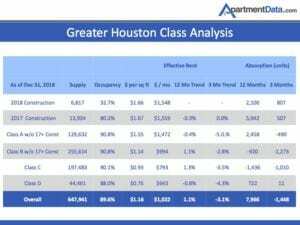 The growth will be driven primarily by demand for Class B and C apartments as some of the Class A properties continue to absorb supply. 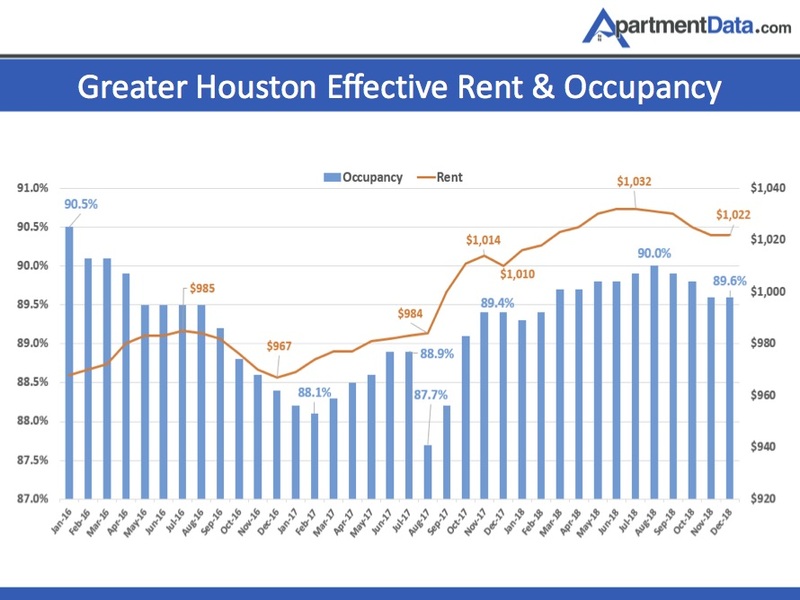 McClenny expects occupancy rates to be around 90 percent and rental rates to increase by $32 in 2019. 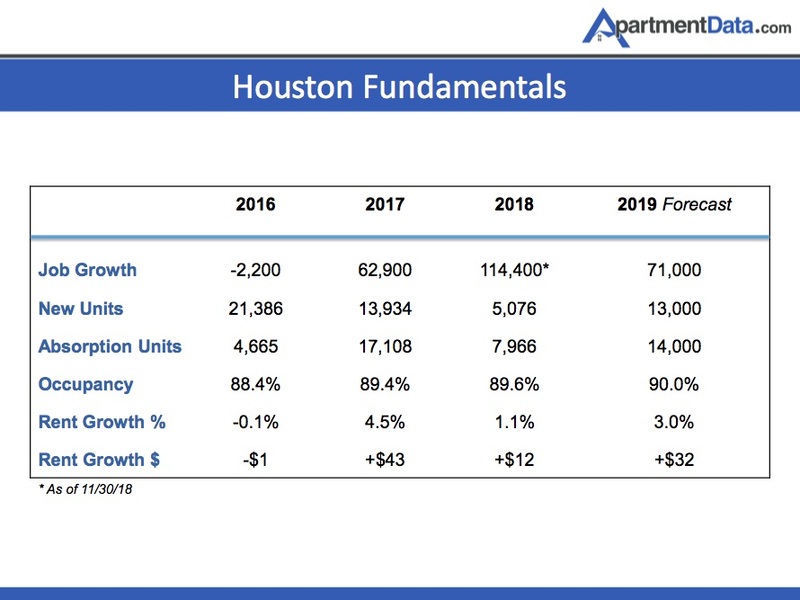 Houston is expected to add 71,000 new jobs in 2019 and an estimated 13,000 new rental units will hit the market this year, McClenny said. 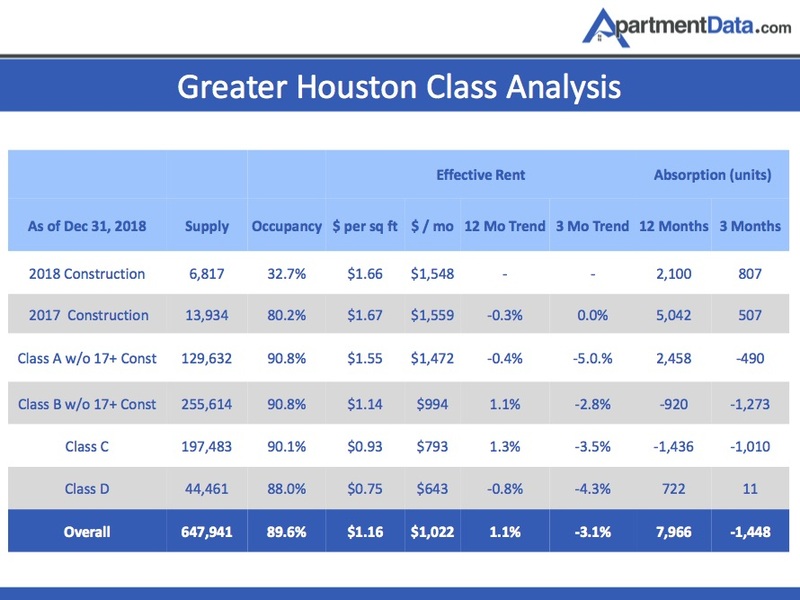 View a video of McClenny talking about the Houston multifamily market here.